Get a behind-the-scenes look into The Dragon Prince from two of the show’s most complex characters. 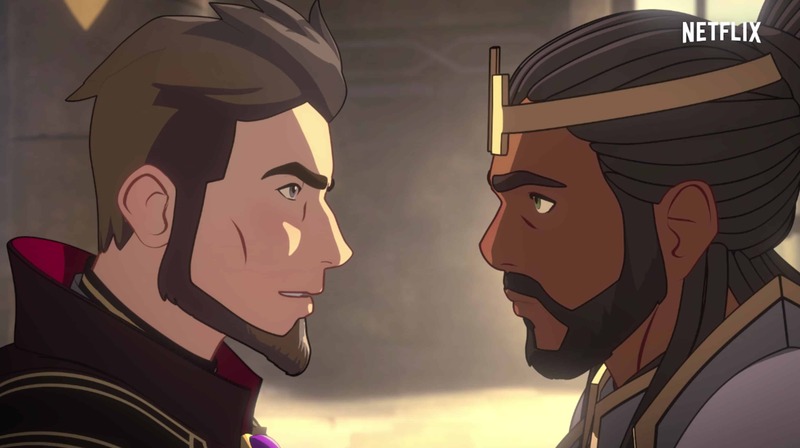 We sit down with Luc Roderique, the voice of King Harrow, and Jason Simpson, the voice of Lord Viren to talk season one of The Dragon Prince. We touch on the relationship between the king and his closest advisor, what dark magic means to them, and more.